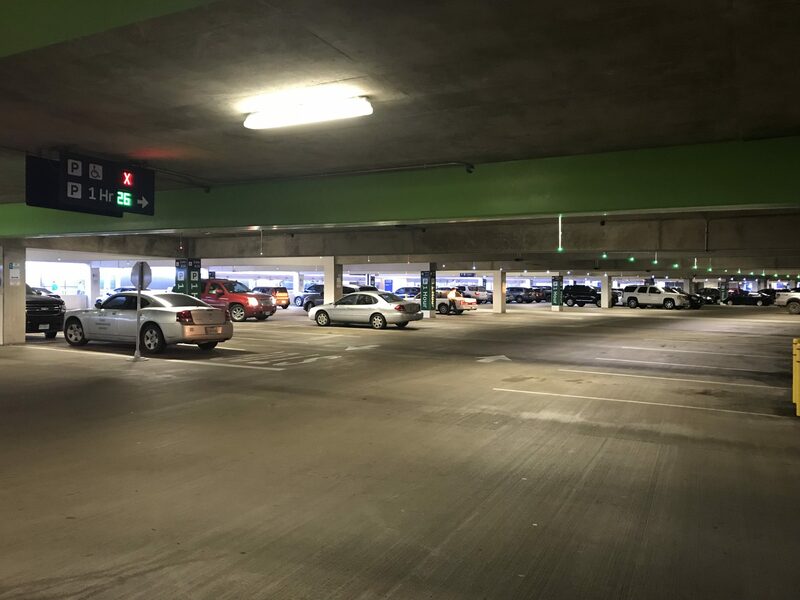 DFW Airport has implemented a parking garage lighting system which serves to visually indicate open parking spaces as they become available. The design helps to minimize unnecessary emissions created by drivers as they search for an open space. 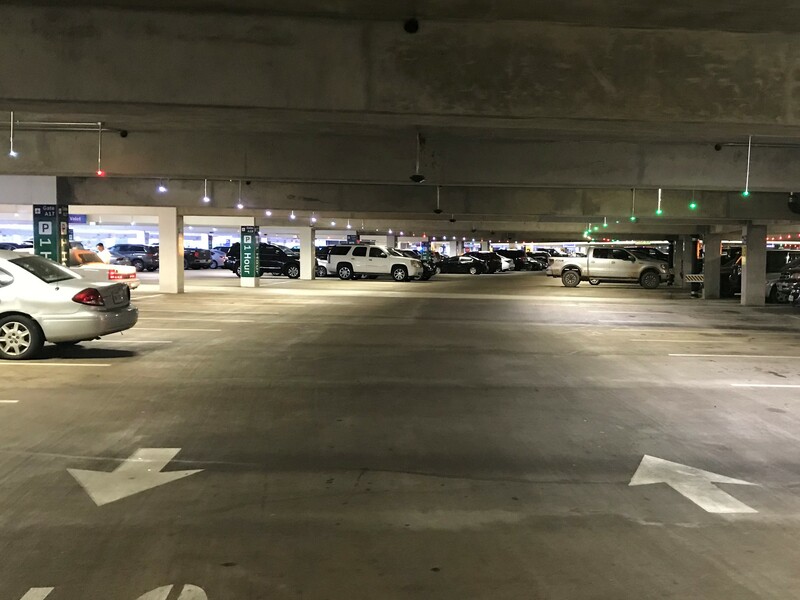 Small LED lights at each space in the garage are visible from the ends of aisles, and allow drivers to quickly spot a free space without having to continually circle the garage. 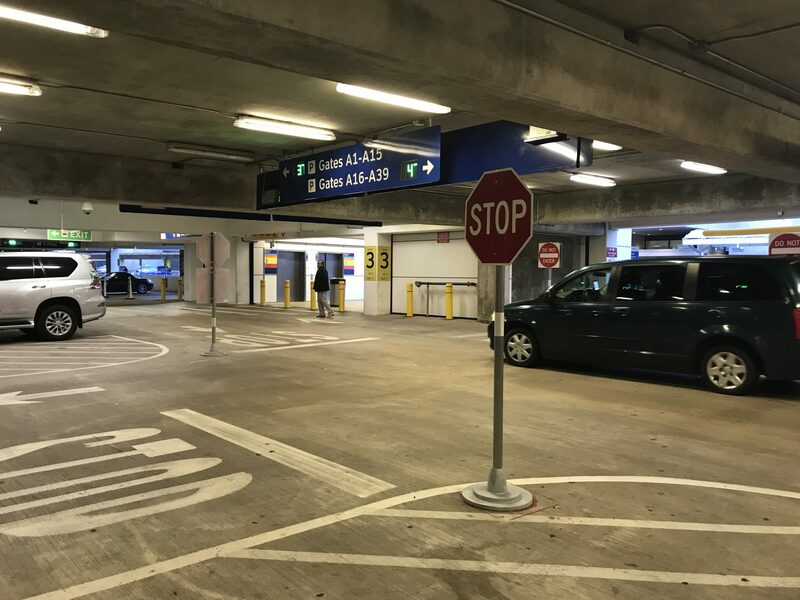 The light sensors also communicate with exterior and aisle signage in real time, letting drivers who enter know which floors have open spots, and preventing further unnecessary driving. 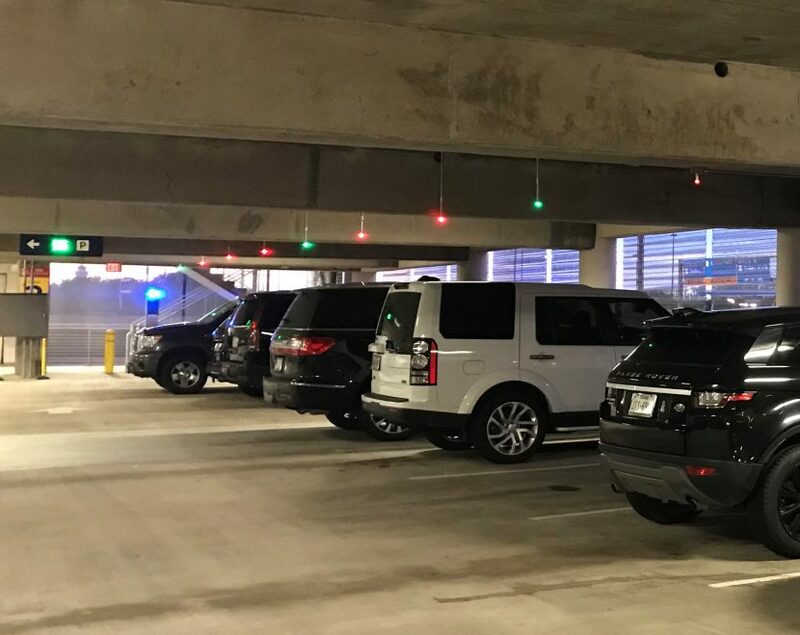 As an added benefit, open designated spaces such as accessible and 1-hour parking spaces can also be distinguished by color-coded lights. This system not only improves the overall efficiency of parking flow and operations, but may serve to provide less opportunity for driving aggravation and accidents within the garage.